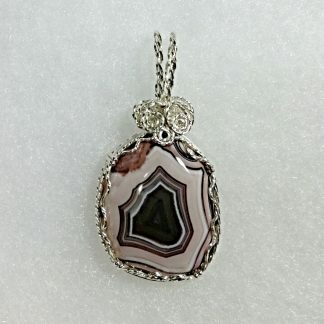 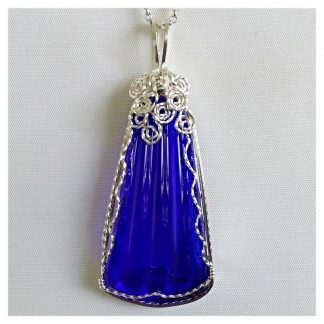 This pendant is made from a setting from an antique brooch. 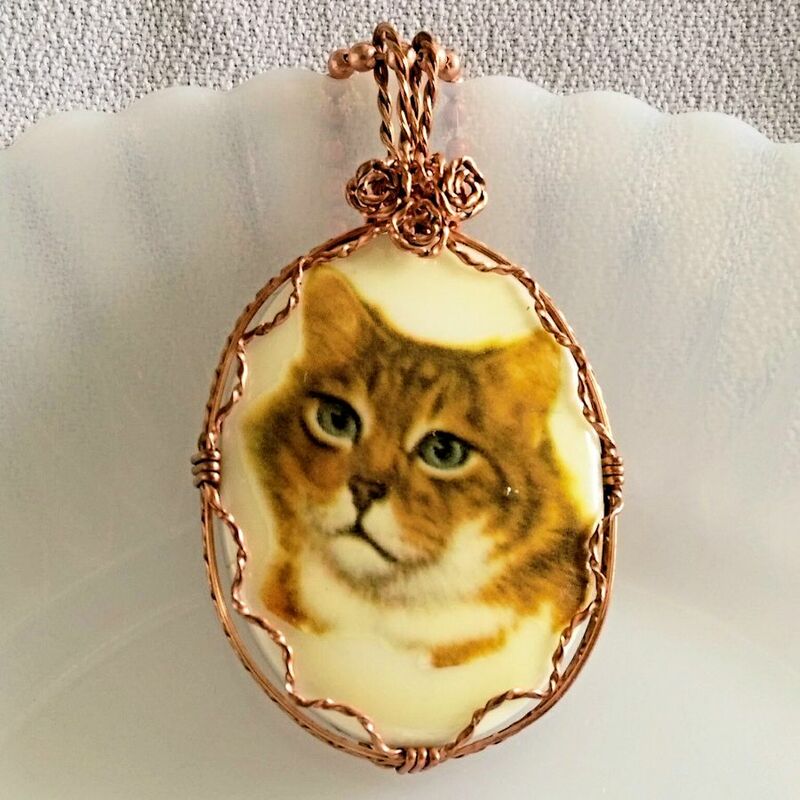 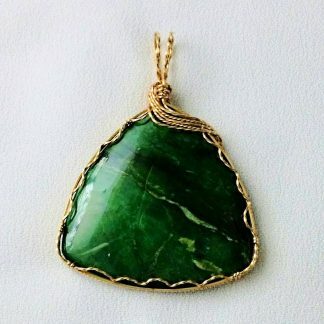 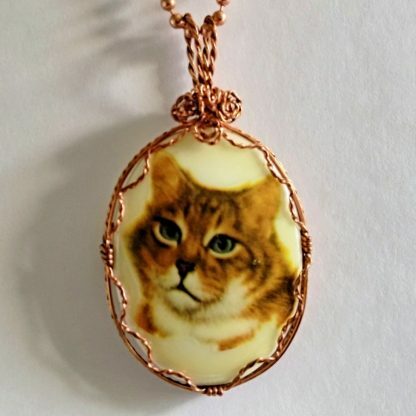 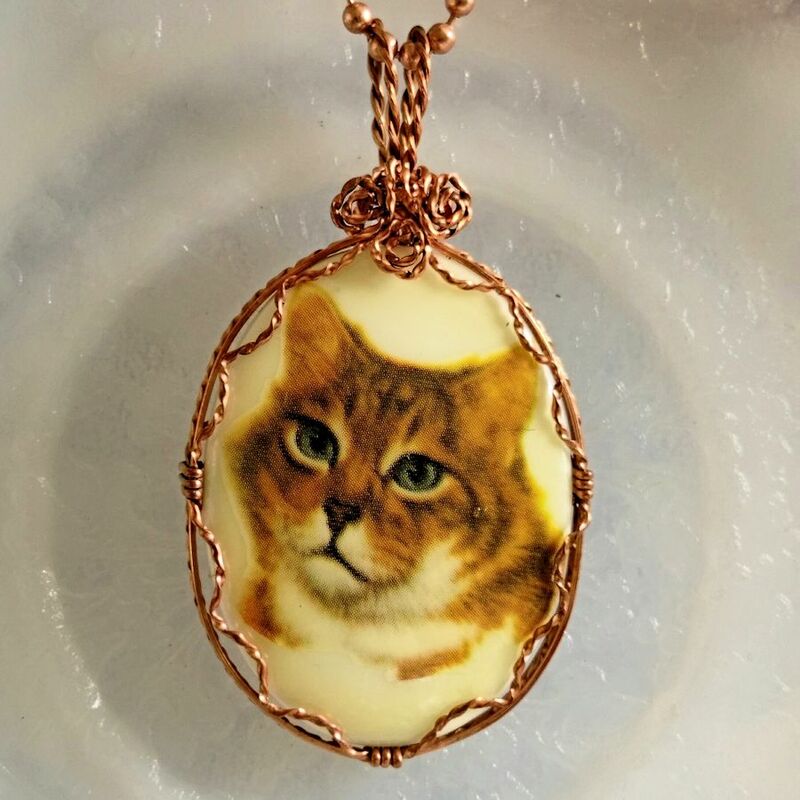 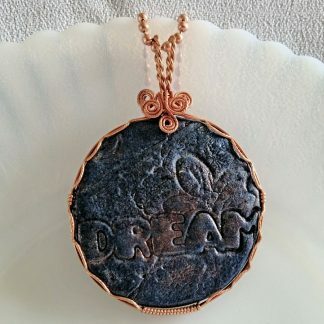 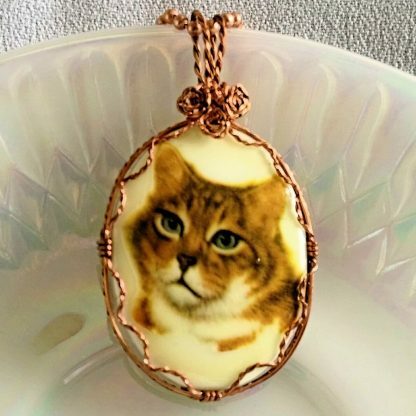 It is wire wrapped in copper wire. 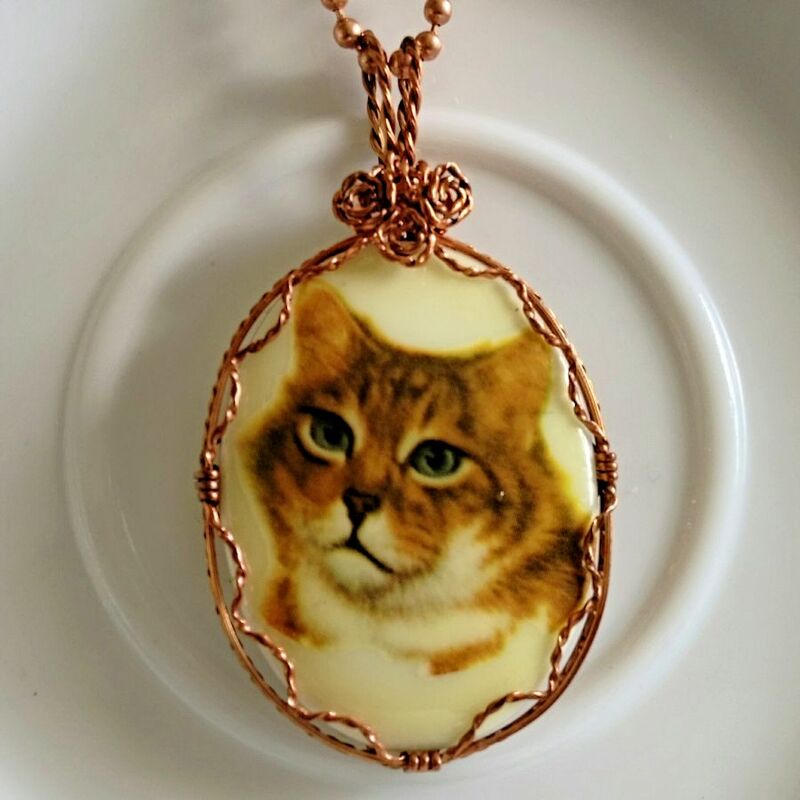 It features a yellow cat. 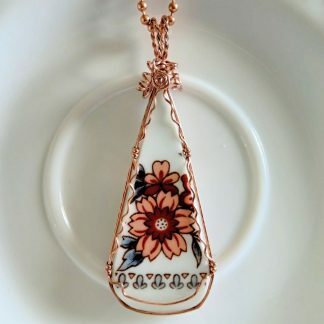 The measurement on this piece is approximately 2 ¼” from the top of the bail to the base and a width of 1 ¼”.